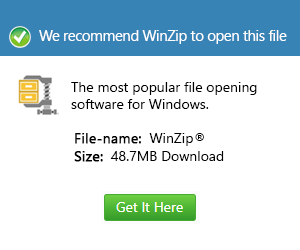 What is a zw file and how do I open a zw file? Files with the ZW extension are text documents stored with ASCII encoding specifications for Chinese characters, and this encoding technology is also called A/CC. This means users can integrate Chinese characters and symbols into the content of their text files with the aid of a word processing application or text editing software that support the ZW format. The HZ text editing software can be used to create text documents saved in the default output file format of this software, which is the .hz extension, and an HZ file is almost the same as text documents saved with the .hw extension, except that an HZ file is integrated with different encoding specifications. This means the HZ program can be used to create, open and modify the content of files with the .hw extension, and the HZ text editor has versions that support Linux platforms, Mac-based systems and recent Microsoft Windows OS versions. There are other text editing applications that have integrated support for creating, opening and modifying these HW files, some of which are NJStar and the XingXing software. Originally, terminal communications programs use the HZ and HW formats for the transmission of text content with Chinese characters and symbols. As of this writing, the HZ and HW formats are rarely used because there are now many text content creation, editing and transmission applications with support for Chinese characters and symbols.